The prompt was all about getting outside of your comfort zone and pushing yourself to try something new that you didn't necessarily consider your own style. 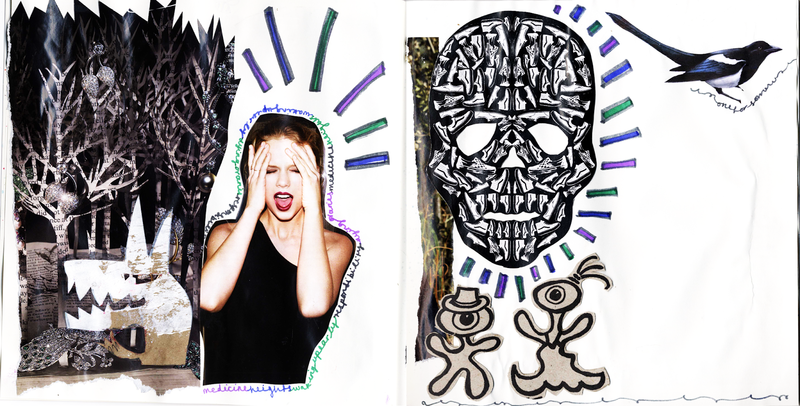 For me - a lover of all things bold, layered and coloured, it was exploring minimalism within art-journalling. I'm really happy with my pages and found that pushing myself out of my creative safety zone refreshing and rewarding. It's a style I'll definitely keep trying in the future and like that it feels fresh and new as well as maintaining the essence of 'me'. Things that go bump in the night... ARGH ! For all the brave, wonderful, strong women in my life! I really liked your prompt Julia and it inspired me to try something different. 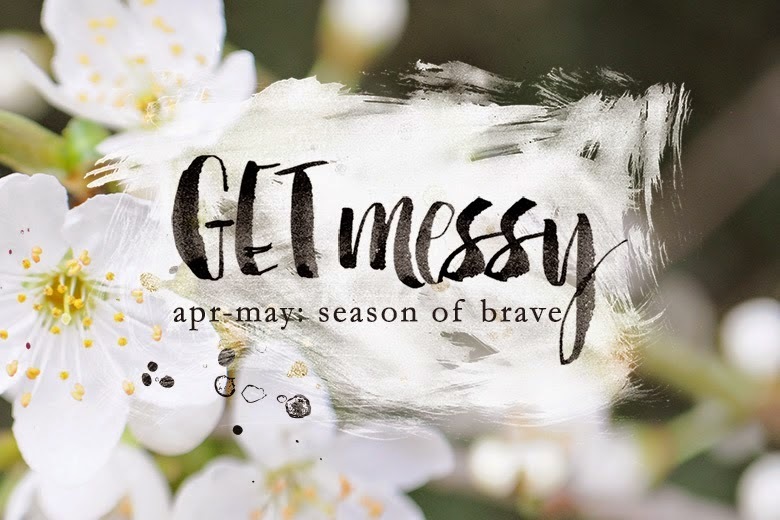 That's why I'm in the get messy group anyway to try new things and learn, plus it is the season of Brave! 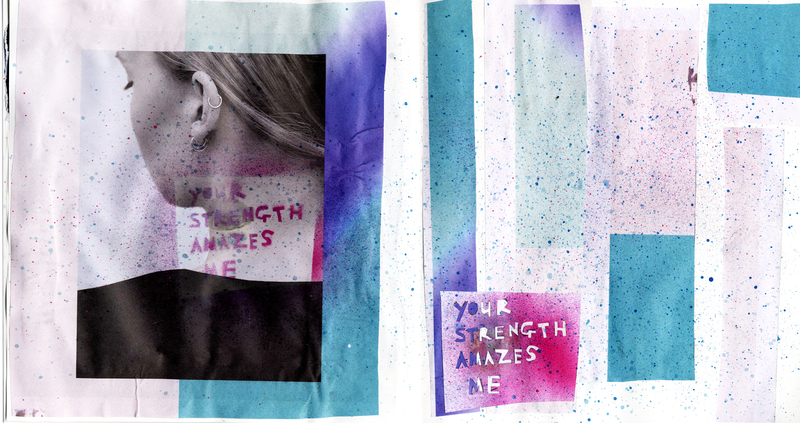 So it spurred me on to make a little zine, do a more personal art journaling and a different style. 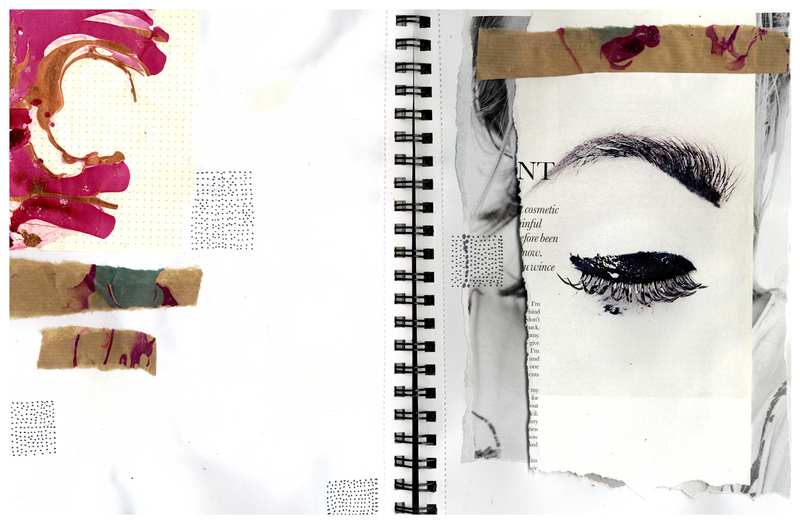 Your pages are inspiring and I am particularly drawn to your eye swirl pages. I love your pages! And that single magpie :) they should always come in pairs!! I love your take on minimalism -- it is still so full of energy and life. Really lovely, as usual.